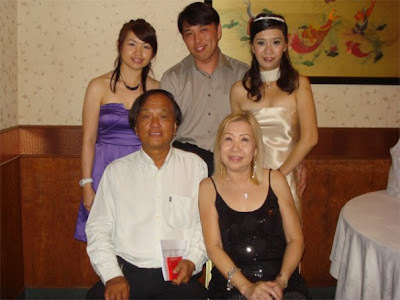 My family: Brother Rodney and Sis-in-law Jane finally got married and this is from the wedding dinner. Secondary school Bestie Cindy's Wedding. Together with the girls: the pretty bride, Susan and Beiwen. Missing Sharon cause she was not feeling well. 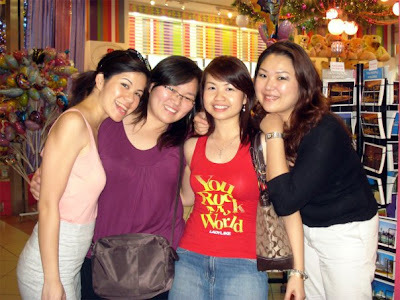 With dearest cousins whom I have played up since primary school! Janice and Kristie with her cutie son Jayden. With 2 of my chaobohs Len and Joewiz (right) and Miko in purple top. At Midvalley Megamall in Kuala Lumpur. 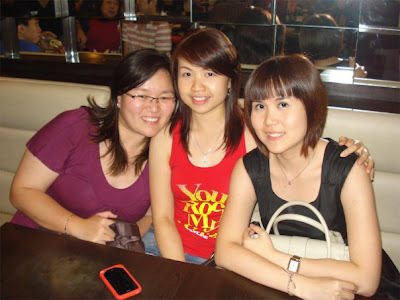 With Miko and Chaboh Liz (Sheali) this time at Kim Garry restaurant also at Mid Valley Megamall in Kuala Lumpur. 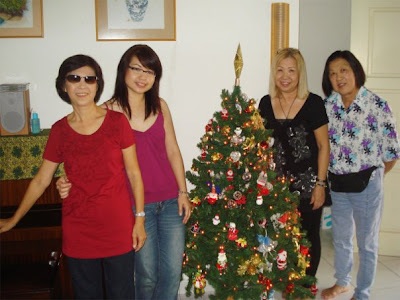 Stayed with my dear Aunty Ruby when we were in KL. Mum and Aunty Judy on the right. Pooh gang (and Tubby as well taking the photo! :p) at P.S Cafe at Dempsey Hill, Singapore. 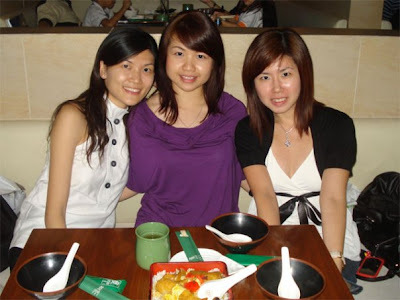 With Secondary School besties again Wen and Ren at a Jap restaurant at Vivo City, Singapore. 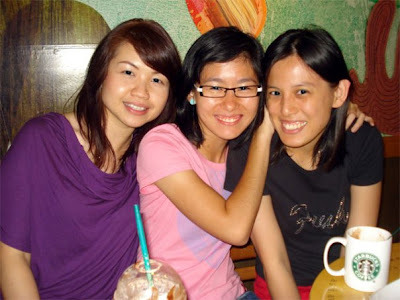 With two of the dalpura gang Ying and Eileen: Coffee @ Starbucks! 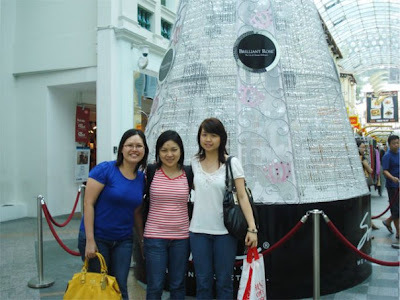 With Korean trip pals Ailin and Swee Kee at Bugis Junction, Singapore. So that's pretty much my time spent in Singapore and Malaysia. Apart from that, of course I ate a lot and shopped alot. I bought so many things from Jusco in JB cause they were such great bargains during the sale! I kinda regret not buying more, but then again bringing back the luggages might have been quite a hassle both with the weight and trying to squeeze things in. Oh well, till next time, at least I picked up most things that I needed. great to see ya too! Seems like you had such a great time back home! If only it could be a little longer huh? =) Anyway, great to have you back in Melbourne, must catch up more often! Sorry for the late replies ladies, hardly check my blog these days! Haha Kristie, too lazy to take lar.. bought too many stuff! !